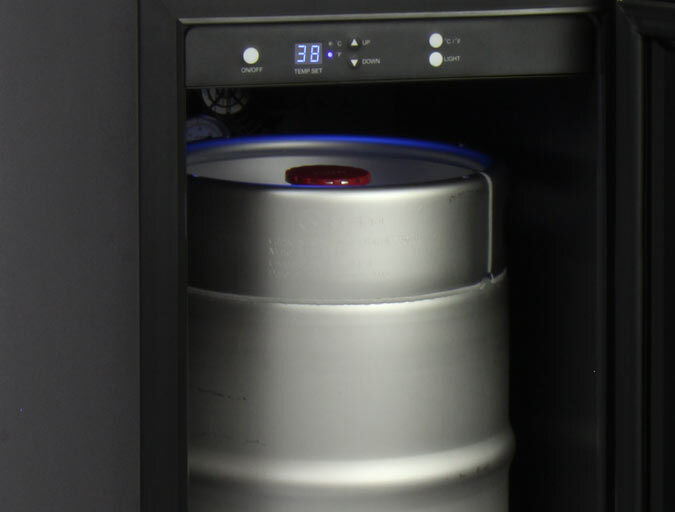 With the new VSK15-SSRN Kegerator, Kegco has made it easier than ever to enjoy refreshing cold draft beer in your own home without taking up a ton of space with a big, bulky keg cooler. This durably built keg dispenser has been specially designed with a slim 15" width that makes it perfect for building in under your counter - it can even replace your old trash compactor! The VSK15-SSRN Kegerator is both attractive and highly efficient, boasting a stylish black cabinet and brushed stainless steel door with a built-in door lock as well as a powerful compressor and fan-forced cooling system that maintain the perfect temperature for your beer and push cold air up into the draft tower to ensure that every drop is served ice-cold. 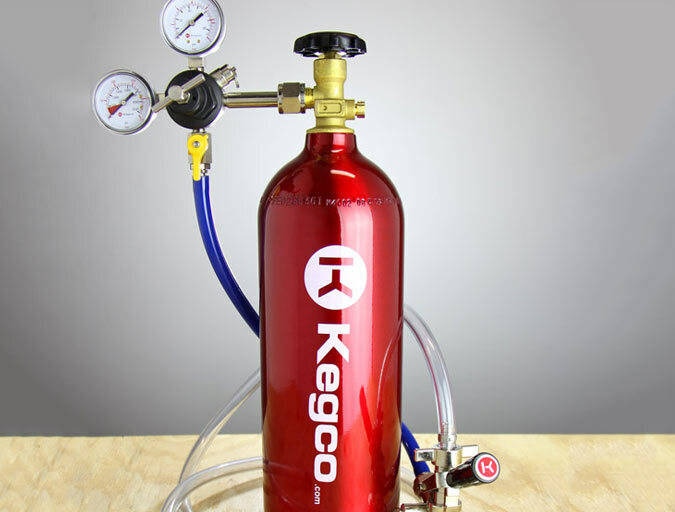 Kegco has even provided a complete direct draw kit with all of the high-quality beer parts you'll need to get started quickly, including an extra tall 14.5" stainless steel draft tower with standard faucet, a 12" x 5" stainless steel drip tray to catch drips and spills, a D system lever handle keg coupler to easily dispense domestic brand kegs, a Pro Series dual gauge regulator that indicates both CO2 pressure and volume, and an empty 5 lb. CO2 tank with an electric red corrosion-resistant epoxy finish. 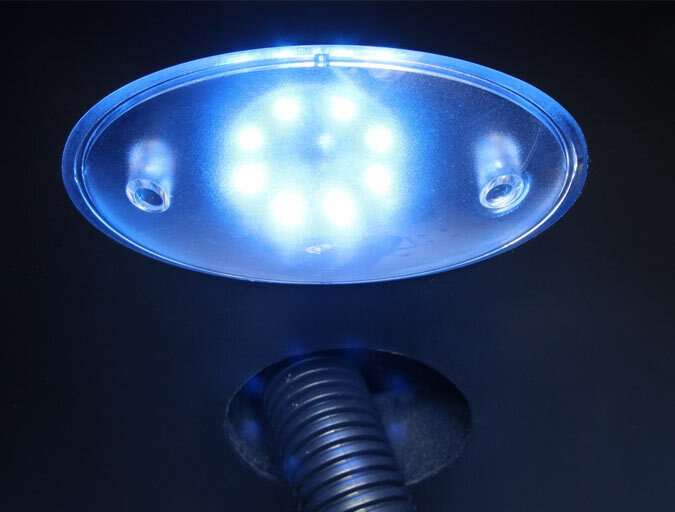 A cool blue LED lighting panel illuminates the contents of the kegerator, making it easy to adjust your CO2 pressure or configure your keg coupler. 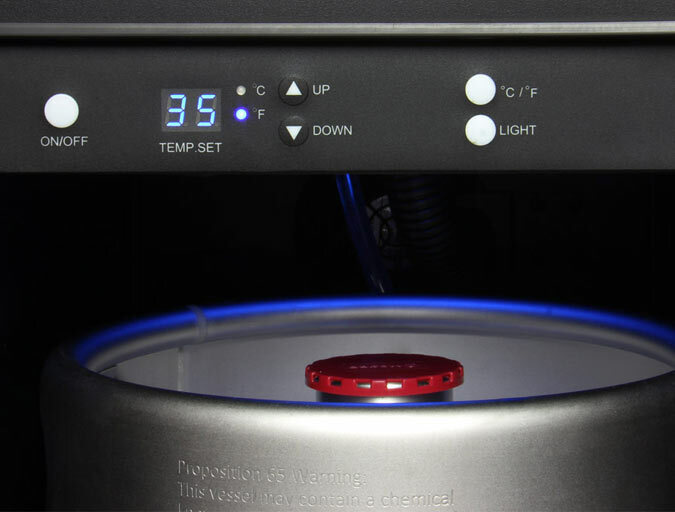 The low-heat lights do little to affect the temperature inside the beer referigerator. Easily set and monitor your internal temperature at the push of a button! The intuitive control panel allows you to turn the light on and off, change the temperature from Fahrenheit to Celsius and adjust the temeprature in 1 degree increments. 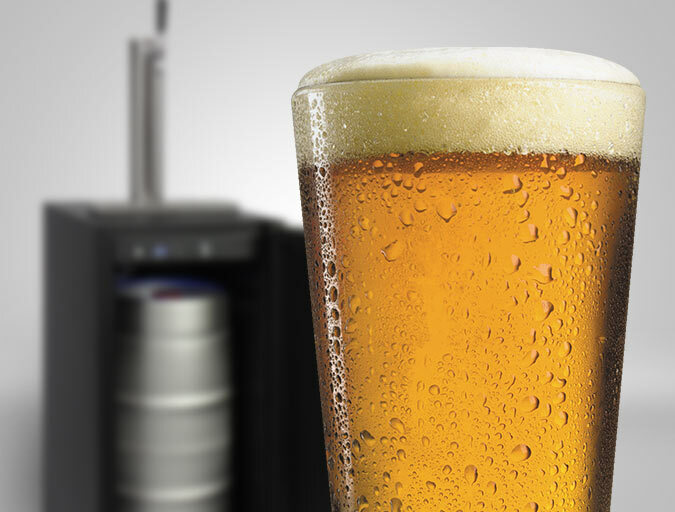 Even with it's slim, space-saving design, this keg cooler can house up to a 7.75 gallon quarter slim keg. It also works equally well with 5 gallon Sankey kegs or 5 gallon ball lock home brew kegs, so you'll be sure to find a beer you enjoy! This kegerator includes a commercial grade direct-draw kit featuring a heavy-duty lever handle keg coupler with a stainless steel probe, a commercial grade double gauge co2 regulator, and a 5lb. aluminum co2 tank with an electric red epoxy finish that will help prevent corrosion and wear. The Kegco VSK-15SSRN boasts the widest temperature range available on the market. Dispense your beer at an ice-cold 32°F or turn the temperature up high enough to use the cabinet as a fermentation chamber. With an adjustable range of 32-75°F, you're sure to find the setting that suits your tastes.